For more information please contact me on 0790 96 26 738 or email me via my contact me page. Passed first time with Peter, in one week! Due to a very tight schedule at work I only had a week to learn how to drive. Having had virtually no experience behind the wheel I was certainly concerned that this would be too much to complete in that time. Before I started my week, I was able to meet with Peter Dann who was to be my instructor. He talked me through what I could expect during the course and how the lessons would be structured. This was a really helpful first step, as I did not feel so daunted on my first day. 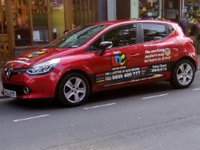 I was also given my LDC Driving Skills Workbook and LDC Driving Skills DVD which were both very informative and user friendly – I highly recommend spending the time to study these as they really help. Peter is a fantastic teacher and I could not recommend him highly enough. He was always so calm when I was driving, which I can assure you was no mean feat, especially during the first few days. It is an intense week with some of the days comprising 6 hours’ worth of driving, but Peter was very good at keeping me motivated. 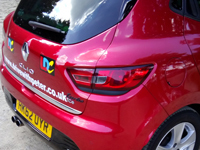 Driving can feel quite intimidating, particularly when you are first beginning to learn to drive, but Peter was excellent at giving me the confidence I needed, whether it was merging onto my first dual carriageway or reverse bay parking next to a fancy sports car! 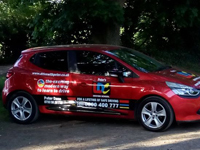 Going in to my practical driving test at the end of the week I was quietly confident as Peter and I had put in a lot of hard work during the week, and we had even had the chance to do a mock test, so I really knew what to expect. If you do the intensive One Week Pass Course it is hard work but with Peter as your teacher I can assure you that you have a great chance of passing. Thank you very much Peter I really appreciate all the help you gave me over that week. After previous test fails with other instructors, finally, success after a Test Booster Course with Peter! Peter always focused on the positives. After each driving session he took time to give me constructive feedback and to enable me to note down my learnings from each session in my handbook to which I could refer later. He never rushed any session and brilliantly fielded all the questions and queries I had during my lessons. I had difficulty getting the reverse parking manoeuvre right and often got frustrated about it. Peter then spent 2 hours of a session completely focusing on a method that suited and worked best for me. I was exhausted after the session, but he never once even yawned. Thanks to his efforts I am a pro at it now. This experience in my mind showed sincere dedication and commitment towards his pupil to achieve the best. I failed my first test more because it was a silly error of not looking before I pulled out at a closed junction, resulting in a serious fault. Peter motivated me a lot and again highlighted all the positive and good things that I did during the test rather than only giving me feedback about my faults. The LDC learning materials were very helpful and before my test I made sure to go through my notes and all the videos to prepare myself for the before every session and also before my tests. I took some more lessons and passed my driving test 2nd time with only 2 minor faults. Thank you Peter. 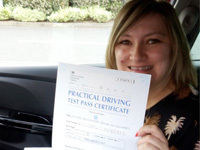 After several attempts to learn to drive some years previously, Steph finally passed her test first time after an intensive course with Peter, and now loves driving! I honestly think 80% of my first time test pass is solely down to Peter. After a week of intensive lessons after not driving for 7 years, I not only feel I am a competent driver, but am more than confident driving around central London. I found the whole course totally enjoyable and stress-free due to Peter’s patience and amazing teaching ability - not stressful and high-pressured like I’ve had with past instructors. Can’t recommend enough!!! Nervous about driving, but Moon overcame her fears and passed first time with Peter! 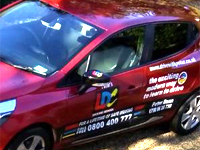 I would strongly recommend anyone who wants to pass their driving test first time to go with LDC and take lessons with Peter Dann. I was always nervous when thinking about driving a car, but gradually, after starting to take driving lessons with Peter I got my confidence level up. Peter is extremely calm, friendly and has lots of patience. It wasn’t straightforward to fit my lessons around my work and looking after my young son, but Peter managed to work out a lesson schedule that suited me very well. The LDC Driving Skills Workbook and DVD I was given as part of my Semi-Intensive Course were really helpful. It was very easy to really read the book and look at the videos to familiarise myself with each topic before covering it in the lessons with Peter. Thank you Peter for all your guidance! 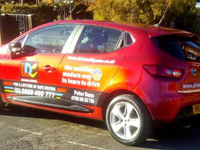 Grace got in touch with Peter for driving lessons following negative experiences with her driving tuition from other instructors. 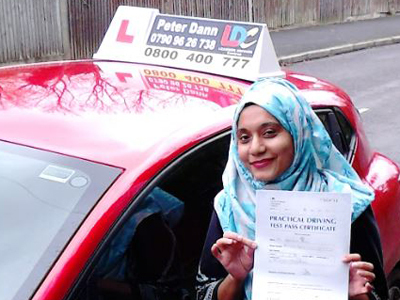 She found lessons with Peter to be just what she was looking for, and went on to pass her test first time! Peter, I chose you specifically because there were reviews on your website saying you were good with nervous drivers. I was very nervous to try and learn to drive after a previous bad experience. You were impenetrably calm which really helped me. So I thought you were excellent! I really appreciated that you were constantly interested in what I felt confident with/needed more practice with. Learning to drive is never going to be 100% stress-free due to the inherent risks but I felt that you made it as stress-free as it could be. 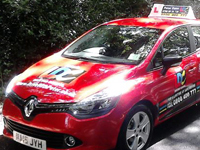 I feel I am well placed to drive on my own & am delighted that your teaching allowed me to pass first time. I found it useful to have multiple ways in which to take on the information. Particularly in the beginning when I was trying to learn techniques and concepts I found it useful to read the LDC Driving Skills Workbook & then subsequently watch the corresponding LDC Driving Skills videos. I have been driving to and from work for 3 weeks now, and although a little daunting at first, I'm slowly getting used to it. On average it saves me two hours a day of commuting. One day last week (due to reduced traffic resulting from school holidays) I made it to work in 36 minutes, compared to my previous commute of 2 hrs!! To say it is life changing would not be an exaggeration! I would definitely recommend Peter to others! Just passed my driving test after coaching by a wonderful instructor, who was very patient and understanding - Peter is a really selfless instructor who goes all out to ensure you get it right, no matter what it takes, finding different ways to reinforce the learning of a given topic to ensure that what you are trying to learn sticks, and above all, to ensure you will be safe on the road. 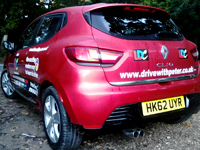 Peter encouraged me to use the LDC Driving Skills Workbook, which helped me a lot, as it enabled me to familiarise myself beforehand with any topics we were to cover in a particular driving lesson. I couldn’t have wished for a better instructor. I would rate him 11/10 and would highly recommend him to anyone wishing to learn to drive. Try him and you’ll see! Thanks Peter. 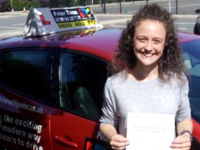 After repeatedly failing to pass her test in the past following a year of lessons with one instructor, then more lessons with another instructor, after a break abroad Alice decided to book a Test Booster course with Peter – and passed! The training was massively helpful to me. I had had a few negative experiences with driving before, but I felt much more comfortable and confident this time round. Peter, you were always very calm which put me at ease. The instructions/tips you gave - especially with manoeuvres - were always very clear and easy to understand. The mock tests and the feedback I got with them were so useful (no other instructor had done any with me) as the process got me used to the format of the test and showed me what specific areas I needed to work on. The LDC Driving Skills Workbook was very useful for refreshing my memory of the theory of driving, e.g. road signs, etc. and also gave lots of good tips about what the examiners would count as a fault on the test. 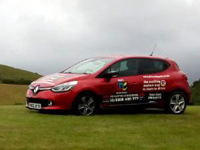 The videos also helped keep me focussed on driving in between lessons. The overall experience was really enjoyable and I would definitely recommend you to a friend. I am most looking forward to having more freedom now I can drive and not relying on everyone else for lifts! Thank you for everything Peter! Peter, I am really pleased to say that Elodie passed her test today with 0 faults!! I’m very proud of her and she’s already insured and out in her car. This will change her life now. I would like to say a huge thank you to you for getting Elodie through her test and giving her the confidence to even want to drive. I cannot thank you enough. 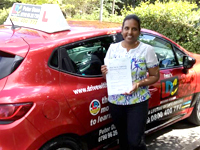 After taking lessons with another instructor that she didn’t feel were meeting her needs, Liah took lessons with Peter and went on to pass her test first time! I chose to go with Peter after losing all lack of confidence with a previous instructor. Peter was very calm, talkative and patient with me and my confidence came back. I was finally enjoying learning to drive, which has resulted in me recommending a couple of people to him! The 2 hour sessions ensured we made the most of the time and there was no rushing around which meant you have enough time to practice and make the most of every session! He supplies you with the “show me/tell me questions” so you can remember them and he goes through them with you which previous instructors didn’t do with me! Overall I'm so much more confident behind the wheel. Thanks to Peter I passed first time and I finally have the freedom to drive and this has opened more job opportunities up to me now! Thanks so much. 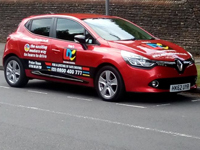 I would strongly recommend that anyone looking for a driving instructor takes lessons with Peter as he is a good and patient instructor, helping me to pass my practical driving test in only just over 20 hours. 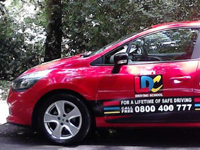 The training that I received from Peter was very helpful, especially in conjunction with the LDC Driving Skills Workbook, which allowed me to learn and practice my driving skills even when not in a lesson with Peter. My overall experience with driving with Peter has been great and I learnt much quicker and easier with him. I look forward to finally being able to drive to places instead of taking a bus or a train. Thank you very much, Peter :). A massive thank you for helping me! I am an experienced driver - but with none of that experience in the United Kingdom. 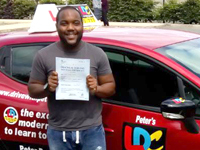 Coming from the United States, regardless of experience level, Peter's knowledge and tutoring abilities were an invaluable part of the successful outcome of my UK practical driving test - his teaching was tailored to my specific needs. 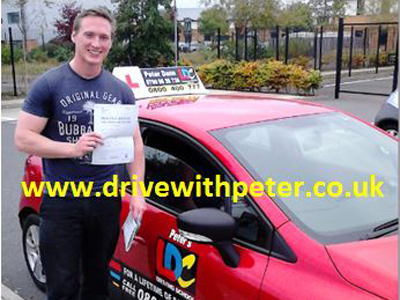 Peter was able to correct (most of) the habits that did not fit with the skills necessary to pass the UK driving test and, more importantly, his coaching provided me with a healthy base for continued safe driving. 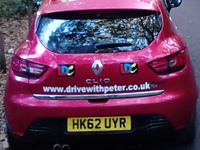 Although Peter's constant smile and good humour was occasionally "put to the test", I'm sure, his focus on teaching safe driving never faltered. 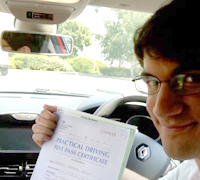 I passed my UK practical driving test first time - without Peter's coaching, I am sure there would have been a different outcome! Many thanks Peter, and to the staff that support his efforts. 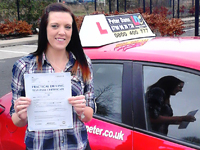 Katie passed her driving test after taking a semi-intensive driving course with Peter. 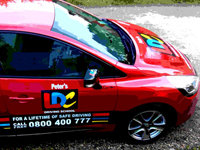 Peter was always very calm, encouraging and friendly… unlike some of my friends driving instructors who were snappy and put them off the daunting prospect of learning to operate a vehicle. 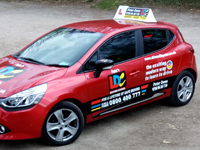 The LDC resources were excellent in aiding lessons during the early stages of learning and allowed for maximum time learning practically in the driver’s seat. Would definitely recommend Peter as an instructor his patience and flexibility to progress as fast or as slow as you wanted really helped the process. I couldn’t be happier to have passed my driving test, the independence and freedom it allows really is one of the best things to happen to me in my life so far and so many opportunities and experiences now await! My younger siblings will be sure to get in touch when it is their turn to learn! Peter is a wonderful instructor. He is very professional and polite. He is very organised and responsible. 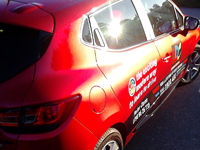 He has great driving knowledge and experience and he shares this with his learners in a very nice, clear manner. I would rate Peter’s service as high as it could possibly be rated. 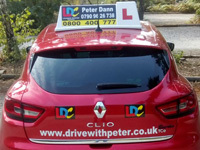 For those looking for the best teaching and the best driving instructor I would strongly recommend Peter. Great service. 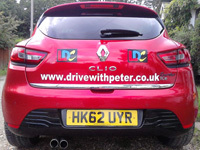 Peter is a great driving instructor and I would highly recommend him to anyone wanting to learn to drive. I had 2 instructors prior to Peter but wasn't really making any progress until I started learning with Peter. The LDC method of learning really worked for me and every lesson was structured to make good progress. I was a very nervous driver but Peter is a very calm and patient instructor always made me feel calm throughout my lessons. I can't thank Peter enough for the excellent training. 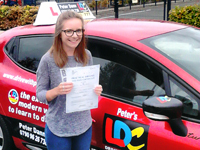 A Test Booster course with Peter helped Laura gain the confidence to finally take her test - and pass first time! 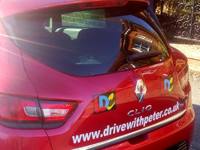 Having taken lessons to learn to drive before, about 6 years ago (I didn’t have the confidence to take the test last time), Peter helped me get my confidence up and gave me the mechanisms to master driving in any car. Thanks to Peter’s coaching and the LDC Driving Skills Workbook, I feel confident on the road and now even enjoy driving on motorways! I'm so appreciative of the way Peter taught and cannot thank him enough for his patience and reassurance. It was a great experience and I'm loving being able to drive myself around. Peter, I liked having you as my instructor because your coaching really helped me. I found it beneficial when you demonstrated things for me. I found that our two hour sessions were really good as we could get a lot of learning done in that time. The LDC Driving Skills Workbook was really good as it explained everything you needed to know about driving. 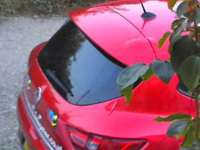 It also helped with my theory test. I would highly recommend you to friends of mine as a driving instructor. Thank you Peter. I never thought I'd be in a position where I could say I have passed my driving test! 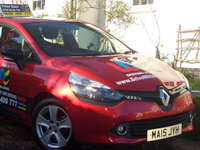 Having been let down by another driving instructor in the past, I found Peter extremely helpful and easy to learn with. Lessons were structured to suit my individual learning style and I was given the opportunity to focus on certain things that I felt needed the most attention. The LDC Driving Skills Workbook and DVD Peter provided were of great help, especially in the early stages of learning and also in the lead up to the test. He also recommended videos which he felt could be beneficial and they were! I'd highly recommend Peter as an instructor to anyone, whether they are extremely nervous behind the wheel or really confident. Peter's approach to coaching made me feel calm, relaxed and happy to learn. I'm looking forward to what comes next, who knows where life will take me now, but wherever it is I'll be going by car, and this time I'm in the driver's seat. Thanks for all your help Peter - I really couldn't and wouldn't have achieved this without your support. Wanting assurance about the driving capabilities of her new au pair from Spain, Lucy turned to Peter for an assessment drive, a session dedicated to familiarisation with driving on the left on UK roads, and a session in the car au pair Loreta would be using daily to carry out her work. 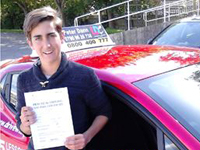 Tyler passes first time after Semi-Intensive course with Peter. I would definitely recommend Peter to anyone wanting to learn to drive. His style is calm, confident and supportive, and I felt able to learn at my own pace and direct the focus of the lessons towards my particular weaknesses. At the same time, the LDC Driving Skills workbook and videos imposed a clear structure on my lessons, giving me a great sense of progress, and I think that using them to prepare/revise really helped me to understand everything I had to learn. A series of mock tests with detailed feedback, and the information provided in the LDC resources, helped prepare me for the test and ease a lot of my anxieties. Now that I’ve passed I look forward to getting my own car (and not having to rely on trains to get around!) and traveling to all the places I couldn’t before. Thank you Peter for showing me how. 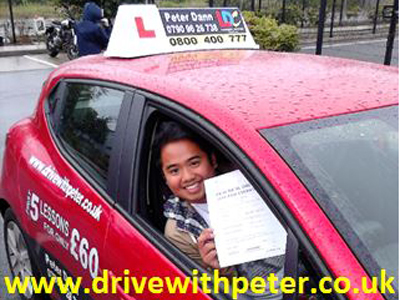 Learning to drive has been a long and tiring journey, but Peter has been an amazing teacher all the way through it. He has been encouraging, patient and kind. I’m very grateful to have had Peter as my teacher. I would recommend him to anybody. Thank you so much for the lessons you have given me, you are such a good and patient instructor. Learning to drive with Peter was fantastic. He helped me achieve the level of confidence I needed to pass my test and feel safe while driving. Peter was very patient, and he explained everything perfectly. He very kindly went through every manoeuvre and made sure I practiced until I felt confident enough. I greatly enjoyed every lesson. Peter provided me with materials to ensure I understood what to do and how to do it. Peter also supplied me with an LDC Driving Skills Workbook to help my driving, which was extremely useful, together with the corresponding LDC Driving Skills videos. 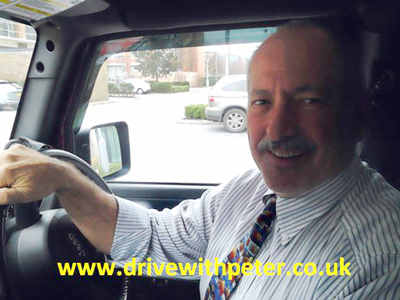 I would happily recommend learning to drive with Peter! Thank you again for all your help Peter! 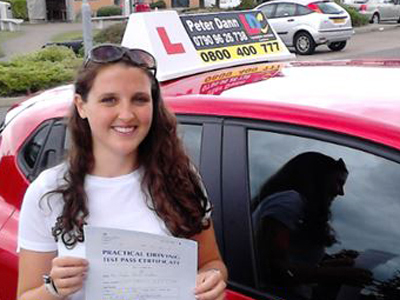 After another instructor let Gabriella down, lessons at short notice with Peter enabled her to pass first time! Nervous about getting behind the wheel of a car, Philip finally decided to set his fears aside and start by doing a session with Peter - and found he actually enjoyed it...! I thoroughly enjoyed the lesson, and despite being nervous you put me at ease and I finished a lot more confident - so thank you. 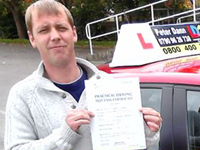 Coaching from Peter to complement long-term learner Scott's previous lessons with family and friends readied him to take and pass his test first time. I took driving lessons years ago but didn't see it through because I was nervous of being on the road as well as always feeling that the lessons were rushed. Peter, however, is an excellent instructor. I can't say it enough. He is very patient, calm and selfless. He put me at ease straight away. The LDC Driving Skills Materials is an added bonus. Planning my lessons ahead made me better understand the lessons before and after a lesson so the actual lesson is focused on my driving. 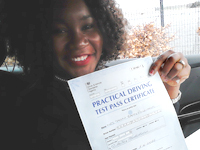 As I was nervous about my 2nd driving test, we prepared for this by having mock tests which helped alleviate most of my nerves to go on and pass my test. The overall experience has been rewarding. And I'm looking forward to my new-found independence! I've already recommended Peter to a few of my work colleagues and will continue to do so to anyone needing a great instructor. Thank you, Peter. I was so blessed to have Peter Dann as my driving instructor, I often wondered where he got so much patience from tbh. I passed my test on my 3rd attempt and give so much thanks to Pete for his continued encouragement when I felt like giving up. I highly recommend him to others that want to experience the freedom of driving. He really is the best! Peter, thank you so much for being such a good teacher. I’ve been enjoying driving so much and have driven up to see my family in Kent and back already. Thanks so much for all your help Peter. Your coaching helped me to stay calm and gain confidence. As a trainer you were calm and very good at teaching me the manoeuvres and made my general driving a lot smoother. Now that I’ve passed my test I’m most looking forward to the freedom of driving and not having to rely on others. Peter very easily adapted to my needs and in a very calm and understanding manner helped me to gain the necessary skills and knowledge for the test. 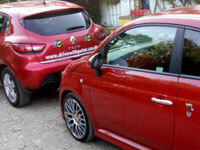 I found every lesson very helpful and would definitely recommend him to both learners and experienced drivers.